Shoestring Warrior chronicles two and a half years struggling to save a derelict cottage in 42 acres in West Devon. We lived in a caravan without water and electricity (deja-vu?). 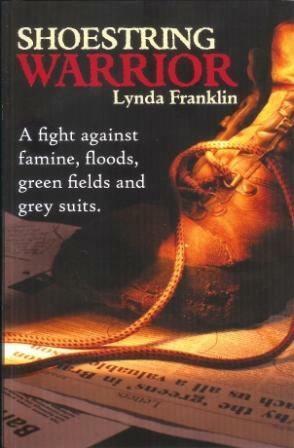 What set out as a rural idyll quickly turned into a fight against famine, floods, green fields and grey suits. The reason? The planners said it was abandoned, therefore it didn’t exist, and we had no right to rebuild. Crazy, eh? The wildlife was spectacular, the living was basic, the peace unassailable, the problems many, the outcome- well, success took its toll. Soft Words Butter No Parsnips. The Life and Times of John Iliffe Poole 1888-1979. Written for my grandfather not just because he had left me all his papers, but also he was an ordinary man who inspired many tens of thousands. His life was theoretically ruined by having cancer of the larynx but he turned it to advantage by becoming a figurehead for people similarly afflicted – 55 years a neck-breather was a Guinness world record! Gassed and shelled in the trenches in the first world war, in the second world war he went on to care for 70,000 service people who came to their tiny cottage in Newton Ferrers, Devon. A blue plaque commemorates both John Poole and Glen Cottage.